Hey, it ain’t rocket science, but when you grow houseplants, you need to repot them from time to time. And if you’re going to repot, you might as well do it right! Here’s what to do! For most plants, an annual repotting is wise (see Why Repot Houseplants? ), preferably in the spring, although summer and fall are also quite acceptable. Young plants that grow quickly (newly rooted cuttings, for example) may well need two repottings per year, moving them into larger pots each time. Plants that are mature and scarcely growing, such as indoor trees, as well as plants that grow very slowly, such as cacti and succulents, however, may stay in their pot for longer periods, up to 4–7 years some cases. Here are some things you will need: pots, potting soil, a digging tool of some sort (a spoon borrowed from the kitchen will often do), a watering can, and a bucket or large bowl. And you may need the following: fertilizer, mycorrhizal fungi, horticultural charcoal, a sharp knife or pruning shears. You’ll need a pot one or two sizes larger than the original pot (that’s about 1–2 inches/2–5 cm) for small and medium-sized plants. 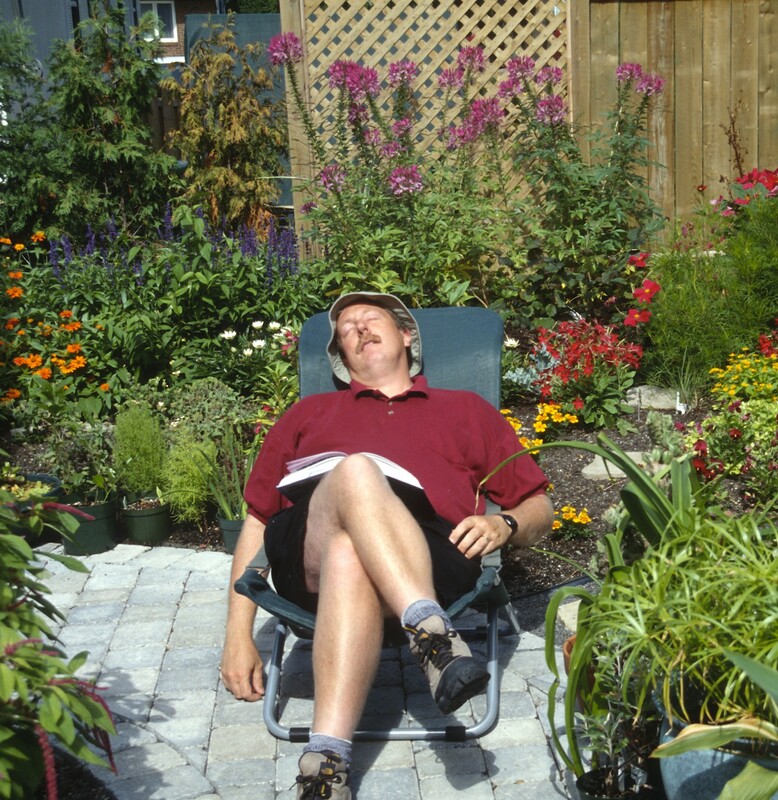 For plants in large pots (12 inches/30 cm and up), consider a pot 3 or 4 inches (8–10 cm) larger. Remember any pot you use must have one or more drainage holes; if not, declare it officially not a pot, but a cachepot! In general, tropical plants (African violets, spider plants, dracaenas, philodendrons, etc.) 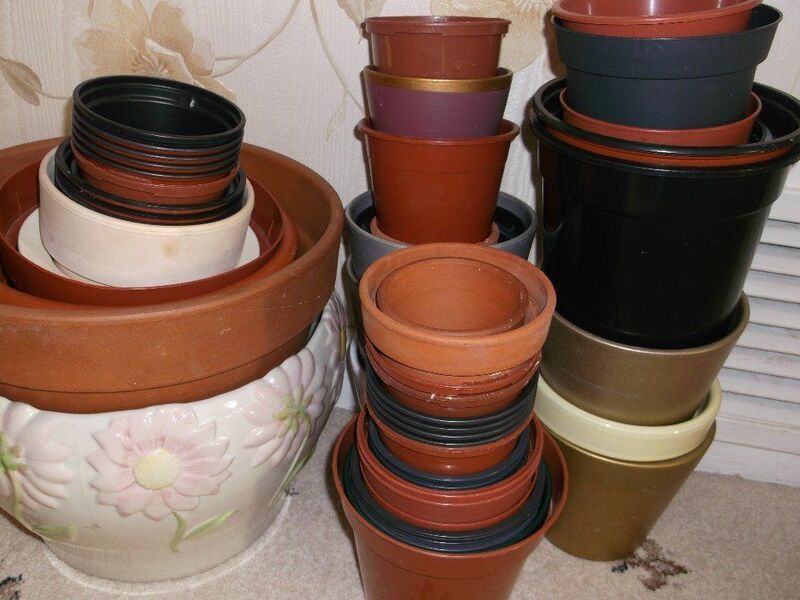 prefer a pot with impermeable sides, such as a plastic pot, as they dry out a bit more slowly. Cacti and succulents, on the other hand, do better in a pot that “breathes” such as terra cotta, as they actually prefer their growing mix to dry out more rapidly. That said, the material from which a is made a very minor detail. You can grow almost any plant in any pot (as long as it has a drainage hole, of course!). 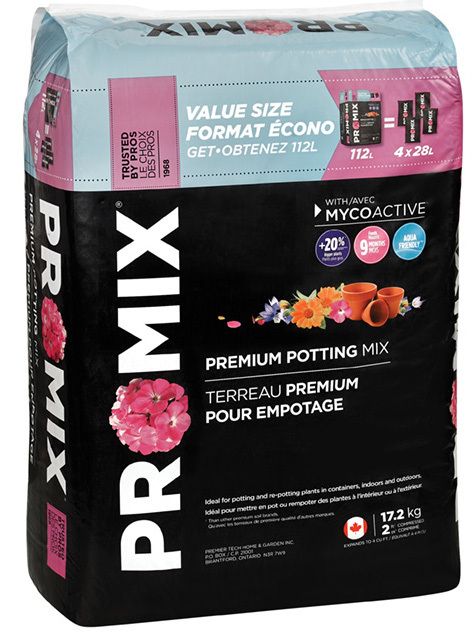 Any packaged mix labeled as potting mix or potting soil will do. African violet potting soil is just standard potting soil with a fancier name. There are more aerated soil mixes for orchids and better-drained potting soil blends for cacti and succulents. Never use garden soil indoors: it may contain insects, disease spores and other unwanted hitchhikers and will almost certainly turn hard as rock after 2 or 3 waterings. I prefer soils that already contain mycorrhizae. Fertilizer: commercial potting soils usually already contain a 2- to 3-month supply of fertilizer; if not add the slow-release fertilizer of your choice to the potting mix. Never exceed the recommended dose of fertilizer, however: it will burn your plant’s roots and can even kill it. Remember: too much fertilizer is much worse than not enough! Mycorrhizae: add them if your packaged soil doesn’t contain any. The vast majority of plants grow best when they are in contact with these beneficial fungi. Again, apply as recommended on the product label, but don’t worry if you add too much: it’s harmless to plant roots. Horticultural Charcoal: an interesting addition if you expect the plant will be spending many years in its new pot (for example, a big plant you have no intention of ever repotting again!). Unlike other products added to potting soil to lighten it, like perlite and vermiculite, it doesn’t compact or condense over time (or at least, only very, very little), so it helps the mix maintain good structure for a longer time. Just add about 1/8 to 1/4 cup horticultural charcoal per 2 cups of mix. Now add water to your soil mix. Yes, before you pot up. Modern soils are usually based on peat, coir, or bark, all products that repel water when very dry. So pour tepid water into the mix and stir it in with a spoon. The physical action of stirring miraculously makes the mix easy to moisten! Add enough water that the mix reaches a barely moist state. If you’ve gone too far and it is soaking wet, let the excess water drain out. Now, remove the plant from its pot (see How to Remove a Pot with Minimal Damage), and with a finger, spoon, pencil or chopstick, knock off about 1/3 of the old potting mix, going all around and underneath the root ball. Make especially sure to knock off some surface soil because it is usually the part most contaminated in mineral salts. 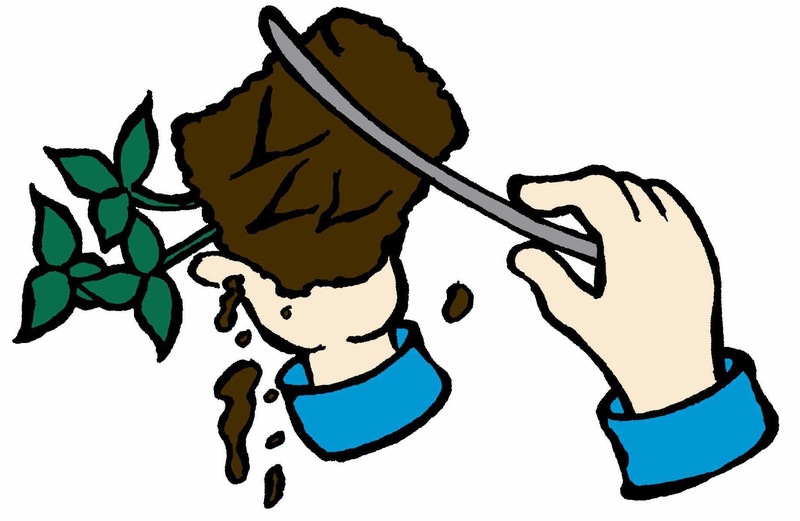 If there is a mass of roots circling the bottom of the pot, slice them off with a knife or pruning shears. Just gather your courage and cut away! Those long roots were meant to anchor the plant in the ground in an outdoor setting; they are useless to a plant that grows in a pot and removing them will not harm the plant. If there are roots entirely circling the root ball, cut them off too or they may come to strangle the plant over time. Placing a so-called drainage layer of gravel or pot shards on the bottom of the pot is just a waste of time, effort and space. (See Gardening Myth: Houseplants Need a Drainage Layer.) 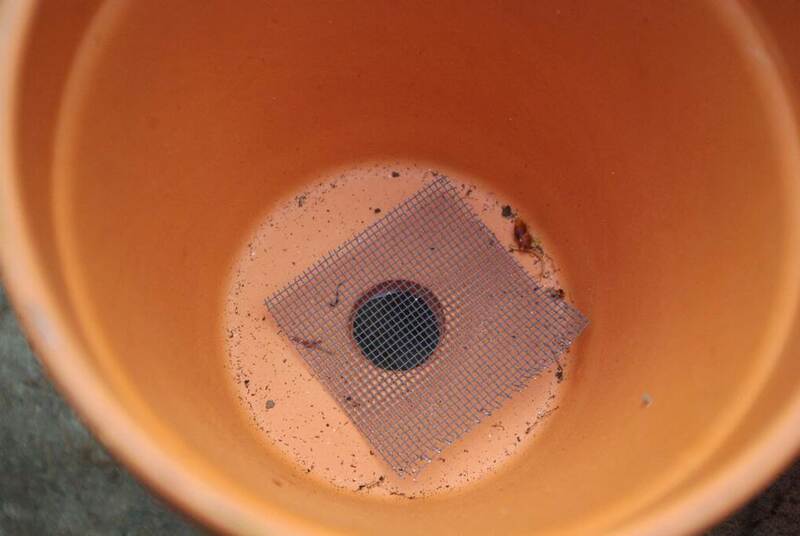 However, you can place a piece of newsprint, paper towel, coffee filter, geotextile or mosquito net over the drainage holes and thus prevent the soil from washing out the first few times you water. Or don’t! If you don’t mind a few particles of soil dripping into your saucer, it isn’t worthwhile. Now pour enough of your pre-moistened potting mix into the bottom of the pot to raise the plant to the desired level. (The top of the root ball should be about level with the lower part of the pot’s rim.) Center the plant in the pot, then add potting soil around the root ball. Tamp lightly with your fingers. Finally, water well. Most freshly potted plants can go right back to their original location. If the plant is growing in full sun, however, it would be wise to put it in a place a little less well illuminated for a few days, the time it takes to recover from transplanting shock. That’s it: all it takes to successfully repot a houseplant. Get to it!